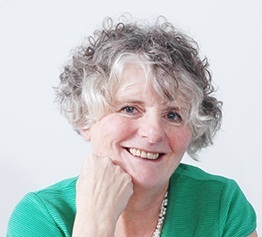 Charlotte Mannion is the founder and a director of Quicklearn, a communications consultancy based in Wiltshire. Charlotte works as a coach and facilitator, helping people to communicate more effectively in both their written and verbal communications. The Useful Guide to Communicating Effectively is Charlotte's fifth publication for Pansophix. She is also the author of the Useful Guide to Mentoring, the Useful Guide to Public Speaking, the Useful Guide to Report Writing and Mentoring Essentials. On a more frivolous note, she is also the author of the popular 'How to Give a Perfect Wedding Speech', available on Kindle. Charlotte first trained as an actor and spent much of her theatre career appearing in repertory companies, mostly in the north of England. This background has enabled her to use her love of words and performing to help others improve the way they communicate. Charlotte's approach to learning is facilitative and relies on her students 'learning by doing'. Above all, she believes in making sure that learning is both memorable and fun. Charlotte is married with three grown up children. She is a member of Rotary and enjoys working with others to support both local and international community projects and charities. Charlotte is an enthusiastic public speaker and the artistic director of the Ridgeway Theatre Company, where she keeps her hand in, directing productions of different and unusual plays. She loves walking in the country, cycling and eating out. In this video Charlotte explains her approach to her work.